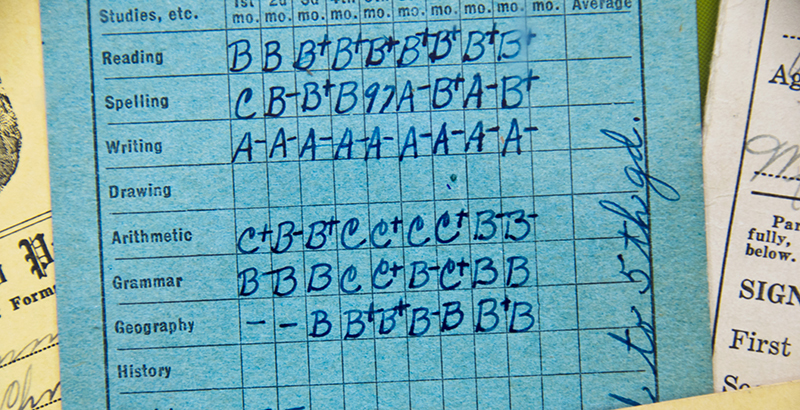 Report cards are coming — for states and districts, that is. As required by the Every Student Succeeds Act, every state must release new report cards to share key school accountability information, including test scores, graduation rates, and teacher qualifications, with parents and the public by the end of the year. The Education Department last week released a guide for parents to the report cards, including information on what components must be included and how they might look. “[Parents] should not have to parse through a 500-page legal document to understand how a law or policy affects their children’s education … Informed parents become empowered and engaged parents who are able to better advocate on behalf of their children,” Education Secretary Betsy DeVos said in a press release. The department’s parent guide is useful, said Brennan McMahon Parton, director of policy and advocacy at the Data Quality Campaign, because it simplifies the reams of school data coming but gives parents a jumping-off point for more research. The resource is a helpful one for parents as they work to improve their children’s schools, said Jackie Ball, director of government affairs at the National PTA. “We’re looking at this in three kind of big buckets. [First], making sure parents know that all this education data is out there, particularly the report cards, so they have access to it. Secondly, that they have the ability to understand and interpret it, and then thirdly, use that data to advocate for improvements,” she said. The department’s guide cites per-pupil spending (a new requirement under ESSA), test scores, and graduation rates among the information that may be particularly important to parents as they make educational choices for their children. The Education Department also held a two-day design challenge to help figure out how to display the more than 2,000 data points states and districts must report in a more usable format. Both McMahon Parton and Ball cited Virginia, Louisiana, and New Mexico as having exemplary report cards; the Education Department in its guide praised Virginia and Ohio. Some states are falling short, McMahon Parton said, citing failures to translate information into languages besides English and to include information on all student subgroups. “Every state has more to do,” she said.